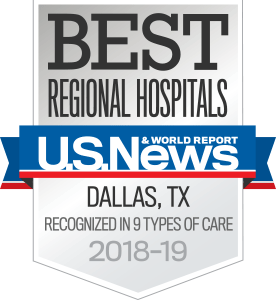 At the Moncrief Cancer Institute, our gastrointestinal surgery team, led by John Mansour, M.D., provides chemotherapy treatments, laboratory work, and imaging so that patients in the Fort Worth area can receive their cancer care closer to home. We encourage our patients to participate in Moncrief Cancer Institute’s survivorship program, which is designed to help survivors develop a healthy lifestyle and reduce their future risk of cancer. The program offers one-on-one consultations with specialists, including a fitness trainer, dietitian, genetic counselor, social worker, physician assistant, and clinical psychologist. On the day of your appointment, please allow time for registration, and bring a current insurance card, a method of payment (we accept checks or debit/credit cards only), and a complete list of current medications and dosages (including over-the-counter medications, herbs, and vitamins). To make the most of your time with the doctor, also bring a list of questions.